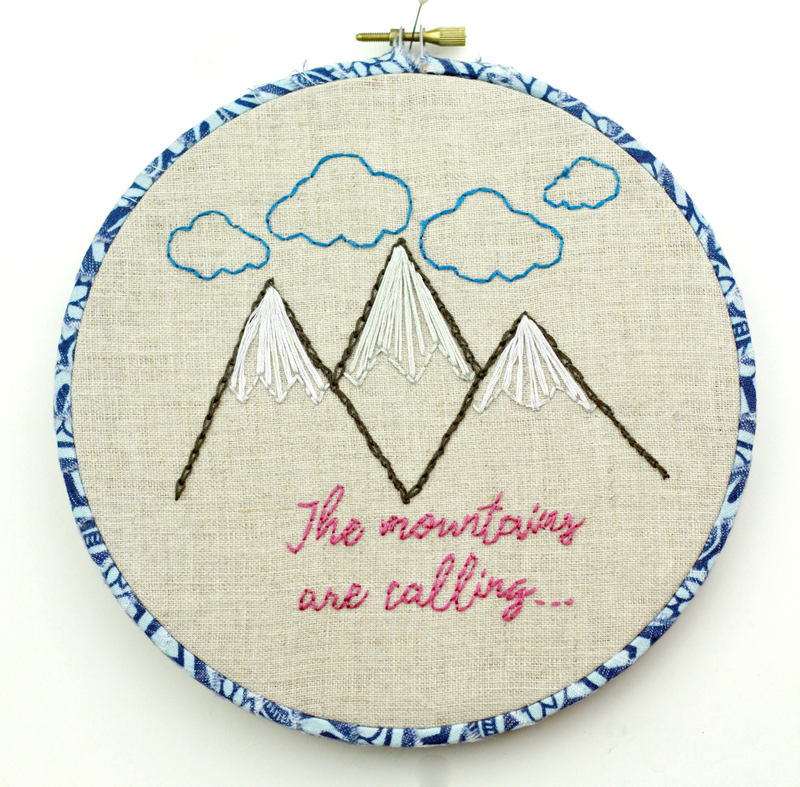 The Mountains are Calling Embroidery! I am far from an embroidery expert but this time of year I feel the calling to make something slow. It is so pleasant to create something stitch by stitch. To me, that is the fun of embroidery! It’s not a race but a commitment to crafting and I love that concept. We have made the journey out to Breckenridge, Colorado again! This time just for one month. In fact, we have been here almost 4 weeks already and now only have a few days left. I will share some details of how we made this trip with 4 kids (and not being millionaires!) in a different post. The mountains are absolutely beautiful, needless to say! 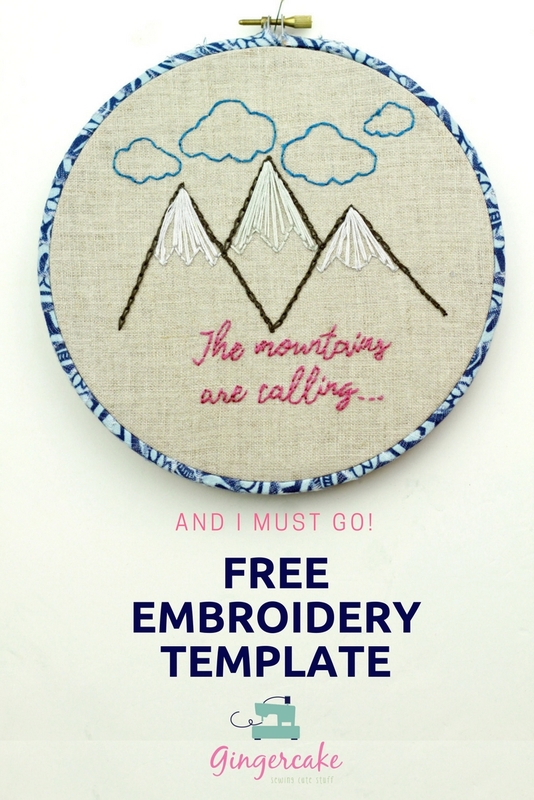 Before we came, I created this embroidery design and I thought I would share with you. It is very easy! Simply download the template, and either trace it onto your fabric or use a wash away stabilizer. I recommend the stabilizer since you can print directly onto the paper and then fuse it to your fabric! It is so easy and simple. Here is a video to watch that explains this process very clearly. 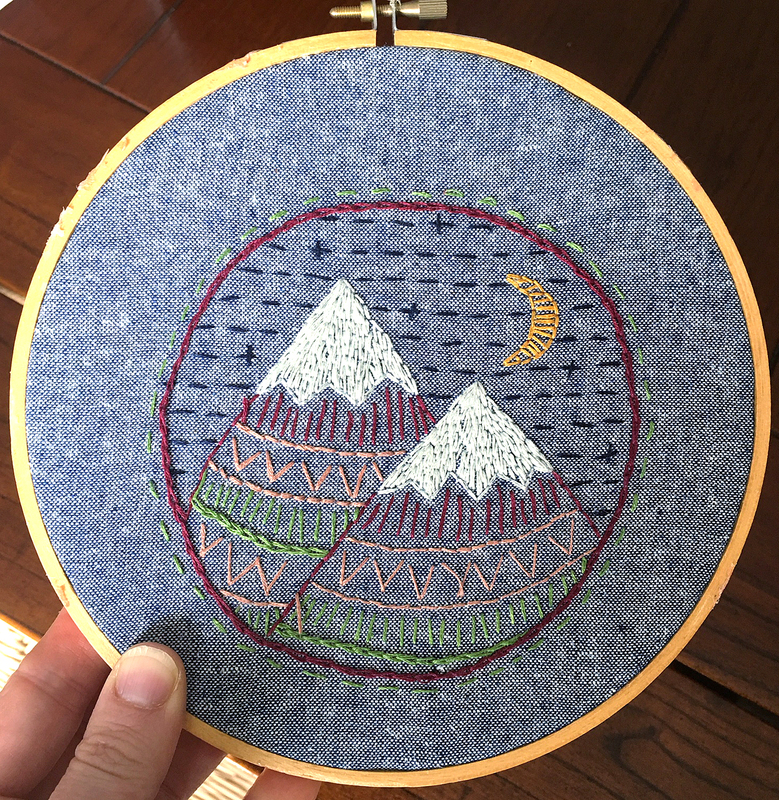 I used chain stitch, satin stitch and back stitch. I like this video that explains all 3 stitches if you need a refresher or to learn them for the first time! I ripped 1” strips of fabric and wrapped them around the outside hoop to give this a more finished look. I simply ran a line of glue around the exterior hoop edge and wrapped away!